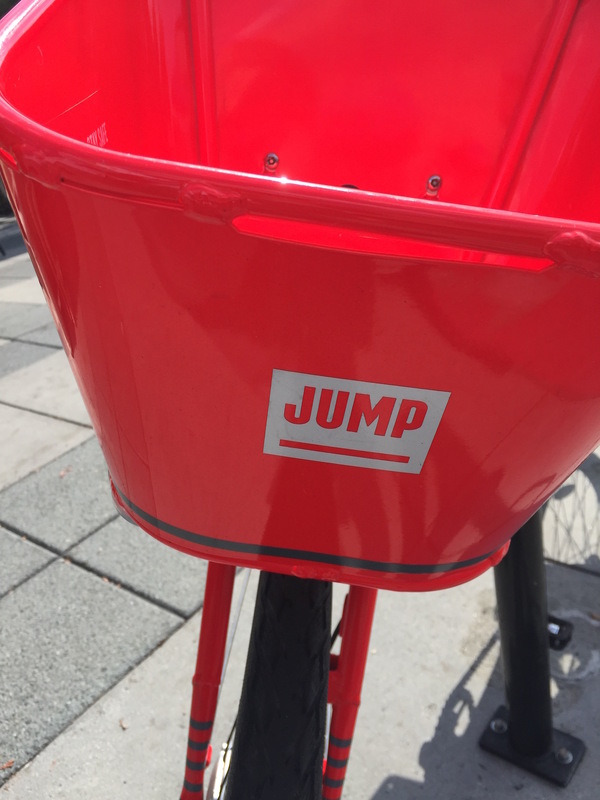 An electric bike by Jump Mobility was spotted today in Los Altos. The startup headquartered in Berkeley northeast of San Francisco is actually only operating in SF. 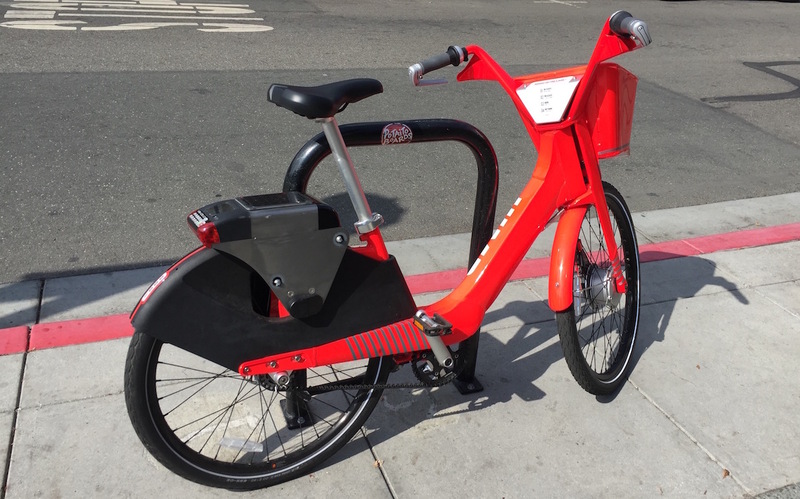 The company is based on a field test by UC Berkeley in San Francisco to study how people are using electric bikes in comparison with other means of transportation. 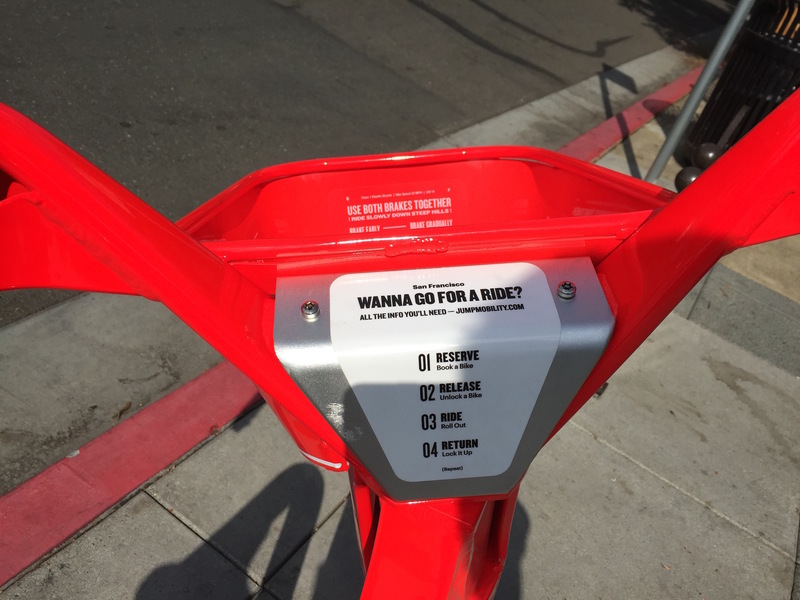 The startup has 100 bikes in operation, used for free by a selected group of invited testers. 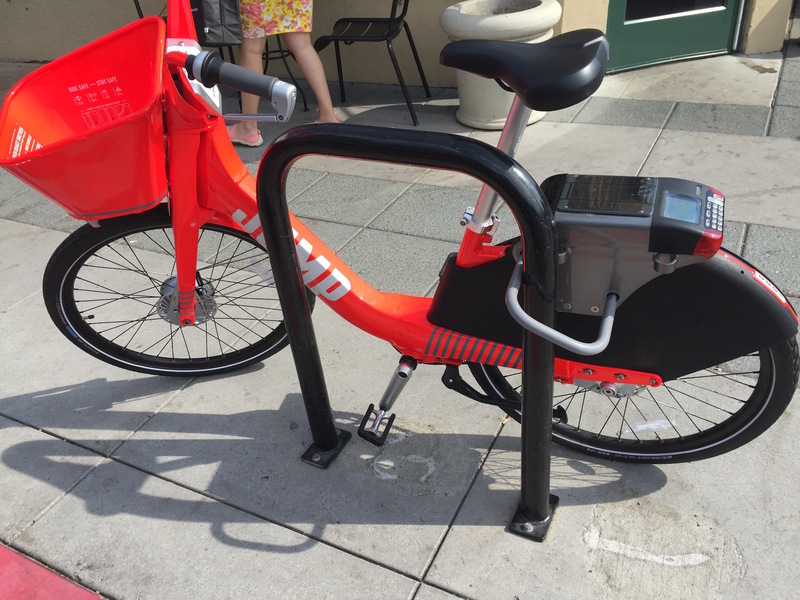 The bikes can be unlocked with an access card. In the back of the bike is the board computer with a massive lock. 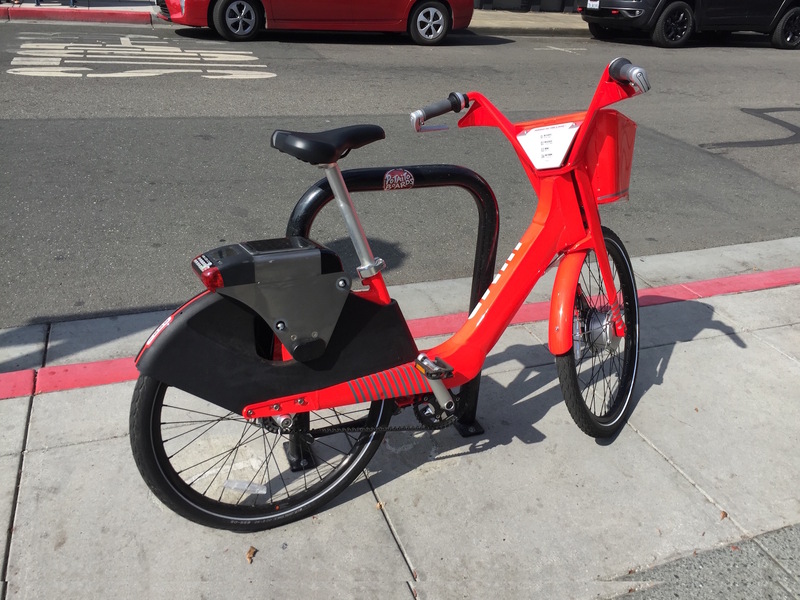 Both are necessary as the bikes currently come without stations. 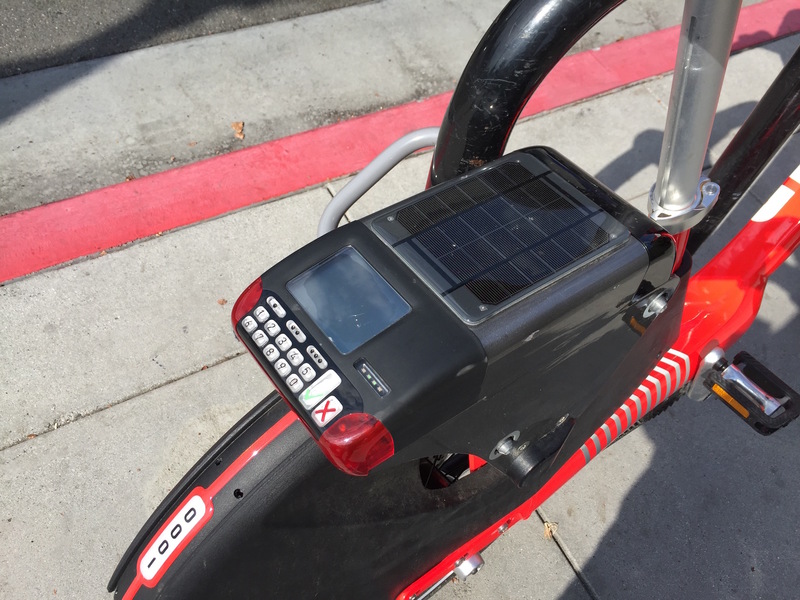 Users have to use an app in order to find the nearest e-bike. To charge them Jump Mobility-employees are collecting the bikes and bringing them to a central charging station.